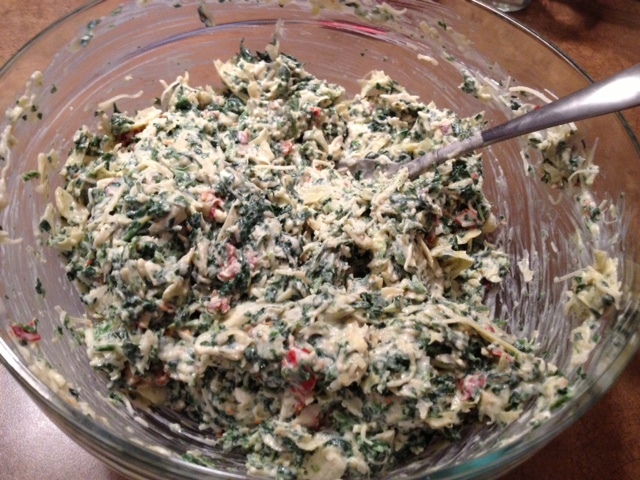 Spinach, Artichoke & Sun-Dried Tomato Dip. 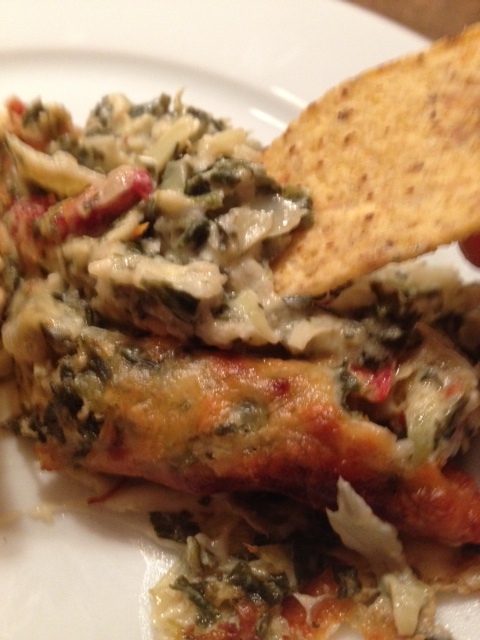 Reduced-Fat Spinach, Artichoke & Sun-Dried Tomato DIp. Who doesn’t love spinach and artichoke dip? 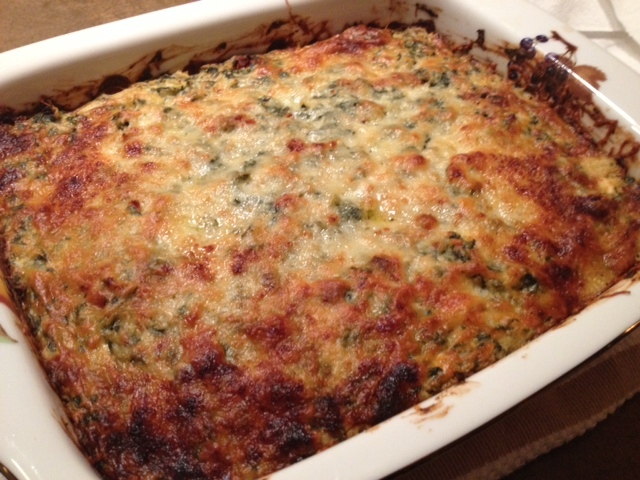 This dip is a nice little twist on a traditional spinach and artichoke dip. It’s made with mostly reduced-fat ingredients and jazzed up with sun-dried tomatoes. It’s a great appetizer for a dinner party or get-together. I served it with reduced-fat tortilla chips, but you would also eat it with veggies, pita or crackers. It’s creamy, cheesy and super delish! Line the bottom of a large mixing bowl with two layers of paper towel and place the thawed frozen spinach onto the center of the paper towel. Roll the paper towel over the spinach and squeeze any excess liquid out from the spinach. Dispose of the liquid and place the spinach back into the large bowl. 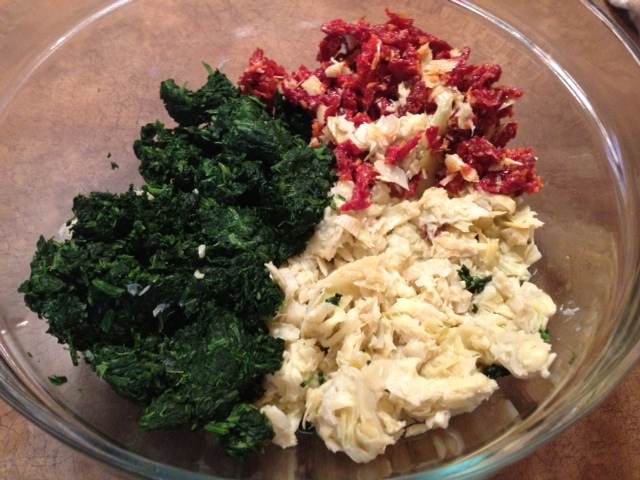 ln the food processor, combine the sun-dried tomatoes and artichokes and pulse 3-4 times to do a rough chop. 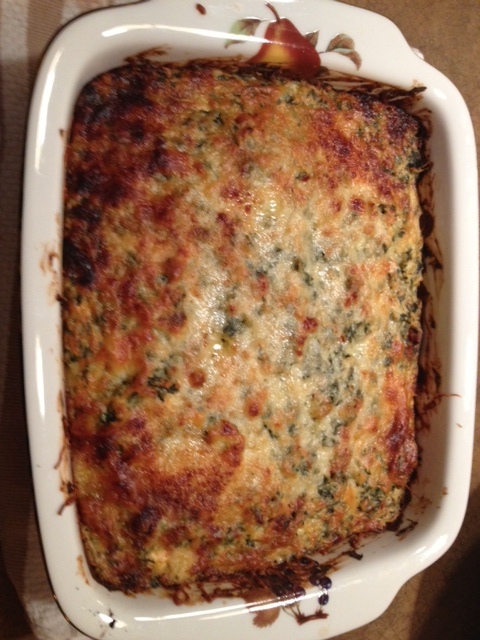 Combine this with the spinach and add in the sour cream, cream cheese, Parmesan cheese and Romano cheese. Season with the garlic/onion powder, black pepper and salt and mix well to combine the ingredients. 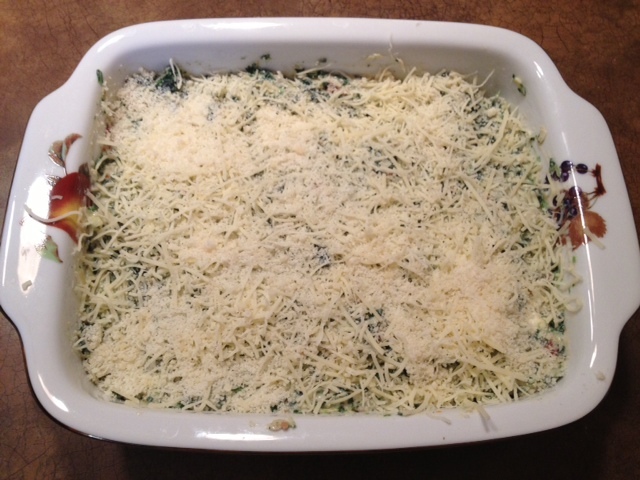 Pour the mixture into a baking dish and top with a handful of the shredded Parmesan and grated Romano. Bake in a 400 degree oven for 1 hour, until browned and bubbly. ← Crisp Apple & Parmesan Kale Salad.